TEI Entertainment President and Founder John D. McEntee has been on the vanguard of all music business trends since 1974. He has an innate sense of what's to come and has kept ahead of the curve throughout his 41-year career. From his early days at Fullerton College, where he collected three dollars a head from students to hear local musicians play in the nearby Community Center to his current role of providing celebrity entertainment to both private and corporate clients, he has found a way to make the business of music an art. His star began to rise when he became the exclusive talent buyer for W.R. Grace Corporation, the southland's leading restaurant chain at the time. For ten years McEntee was responsible for all 162 Rubens, Baxter's, Hungry Tiger and Charlie Brown locations. It was from this pool of entertainment that a handful of bands rose to the surface, catching McEntee's attention and shifting his entrepreneurial wheels into high gear. He took on the business of those bands to expose them to larger audiences through booking them into local fairs and festivals. 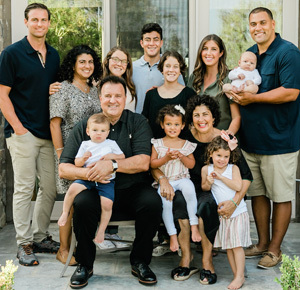 With his affable personality and straight-up business acumen, his relationships with talent buyers grew over time to include state fairs and festivals with seven figure budgets throughout California, Texas, Nevada, Utah and Arizona. To keep up with the growing demand for live entertainment, McEntee opened offices in Sacramento and Las Vegas. At the same time, he began to manage, book, and / or produce several different artists. All the while, a new star appeared to be breaking through onto the horizon, one that would launch McEntee's career to the top and make him one of the nation's leading talent buyers and producers. Corporate America was using the power of celebrity entertainment to reward its sales force, entertain its clients and solicit future prospects. In the early 1990’s McEntee was in on the ground floor and soon had the interest of meeting planners, incentive houses and communications companies coast to coast. Soon, the growing trend in celebrity implied endorsements and sponsorship opportunities, spurred McEntee's marketing arm into action. He is frequently called upon to consult with leading advertising agencies and often provides personalities from sports, film and television for various branding purposes, advertising campaigns and personal appearances worldwide. John produced Terry Fator and negotiated a 5-year contract (with a 5-year option) for the America´s Got Talent winner who currently headlines in Las Vegas at the Mirage Resort and Casino performing 45 weeks a year in the Terry Fator theatre. 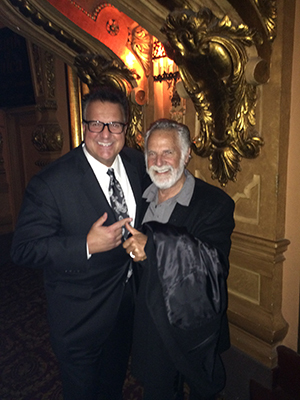 McEntee’s newest exclusive signing is Jonathan Goldsmith (“THE MOST INTERESTING MAN IN THE WORLD”). The former Dos Equis spokesperson and current Astral Tequila beer spokesman is not just a worldwide celebrity. He is a keynote speaker with a new book to come out in 2016. John's corporate clients read like a listing of the Fortune 500. True to his word in all matters, John McEntee strongly believes that his success comes from following simple principles. Do right, follow through and give back. A staunch supporter of local children's and human services organizations and neighborhood clerical institutions. McEntee and his wife Monica of 37 years are respected members of their community. They have three children and are proud grandparents to their six grandchildren.